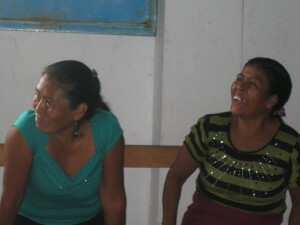 CESMACH is a coffee cooperative of 630 member-producers in Chiapas, Mexico. Most members are organic coffee farmers living in El Triunfo Biosphere’s buffer zone. This area protects the habitat of two important ecosystems: the cloud forest and the tropical rain forest, where a great number of plant and animal species considered endemic or endangered can be found. 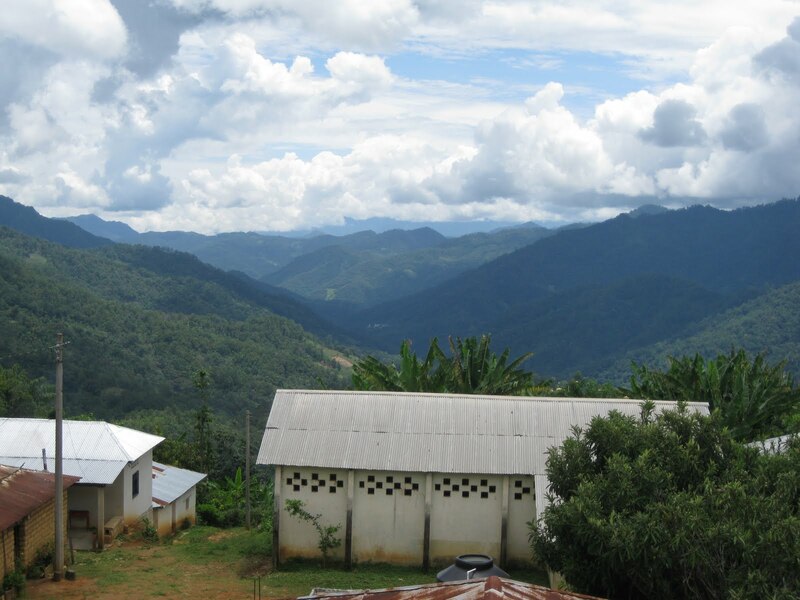 To strengthen its resilience in the face of fluctuating coffee prices and climate change, the cooperative wanted to create a long-term comprehensive plan for food security. To achieve this goal, our partnership with CESMACH began in September 2013 with a Participatory Community Diagnostic and a strategic planning process with member producers and their families, with financial support from Counter Culture Coffee and Vermont Artisan Coffee & Tea. We have completed this first phase, and now are in Phase Two of the project, which includes training producers about best beekeeping practices and establishing a monitoring and evaluation system, with financial support from Progreso Foundation, Vermont Artisan, and others. Producer members identify their strengths, weaknesses, and challenges to choose the best food security strategies for their community. Participatory Community Diagnostic completed with 54 producers representing 16 community-based CESMACH cooperatives All of our projects being with a Participatory Community Diagnostic. This diagnostic identifies information about the level of food insecurity, available resources, regional, social, and geographic characteristics, and the primary challenges that face the community as they work to achieve healthy and sustainable livelihoods. The diagnostic is used to create a baseline and identify the time line of the project, points of reference, and to eventually evaluate the results of the project. 54 producers have been trained on themes of healthy food, nutrition, food security, and crop management An integral component of our projects is training on these themes. Education is key for lasting success. These trainings are an opportunity to know and listen to the producers. Additionally, we use these trainings to ‘train the trainer’; we teach the technical co-op staff to conduct workshops and to build a strong foundation of knowledge and ability. EcoSur, College of the Southern Border, is our implementation partner for Phase Two. EcoSur’s mission is to carry out basic and applied scientific research in areas that affect the development of Mexico on its southern border, giving special emphasis to environmental, economic, productive and social problems, as well as develop technologies and design strategies that contribute to social welfare, biodiversity conservation, rational, efficient and sustainable use of natural resources, and overall sustainable development. Training for current and new beekeepers empowers producers to develop and strengthen an alternative source of nutrition and income for their families. Survey with beekeepers Phase Two consists of the program implementation and beekeeping training. EcoSur conducted a survey with 41 of the 50 CESMACH beekeepers, taking into account social and economic aspects, family activities, general production information, infrastructure and equipment, management practices and technological components, commercialization, training and technical assistance, and personal interests. The results of the survey reflect the levels of experience and knowledge of the beekeepers. With this information, the project is being designed. Luis removes a section from the hive to inspect the honey production. Study of the apiaries and existing beekeepers With the beekeeper survey, our partners at EcoSur also collected information on 20 of the 24 apiaries tended by the existing beekeepers. They geo-referenced the apiaries and recorded conditions, production information, and more. From this information, they created a typology of the existing beekeepers and organized them into three groups to personalize their training topics. 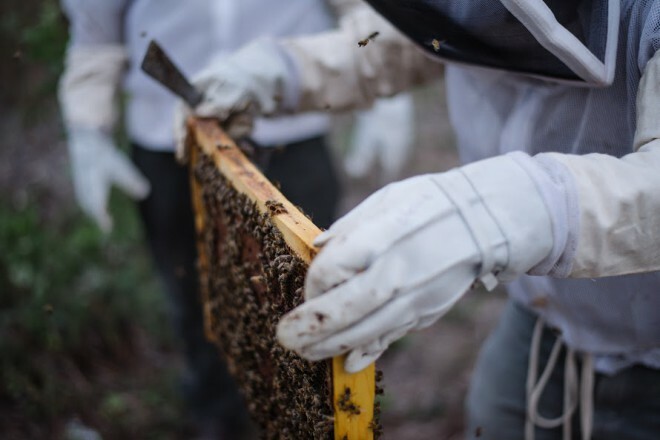 The program also includes apiculture training for at least 20 new beekeepers, with each person receiving training that is relevant and impactful. Established a community apiary While some existing beekeepers already have their own apiaries, the majority of member producers do not. To facilitate the success of beekeeping with member producers, we have established a community apiary for beekeepers in training. 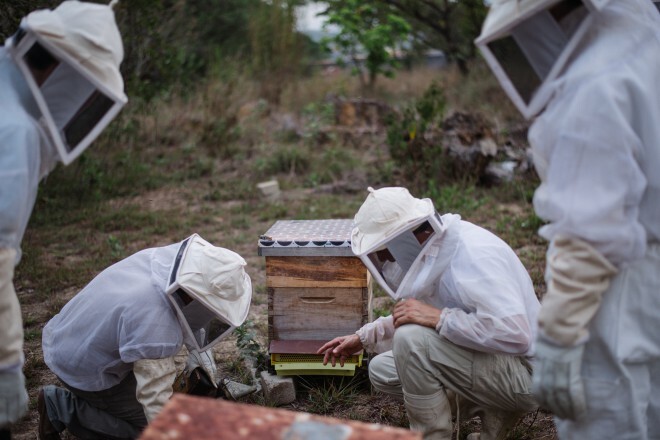 The community apiary is located in Jaltenango, close to Cesmach’s offices and honey processing facility. Follow up and quality control In 2018, the final year of the program, we’ll follow up with all participants to ensure their success and do an assessment of the overall success of the project. We’ve created a monitoring and evaluation guide, for Cesmach beekeeping technical staff to use to identify successes to build on, as well as impediments that need to be addressed. This guide will also be used at the end of the project for evaluation.